Seaweed is produced worldwide with the majority farmed in Asia. 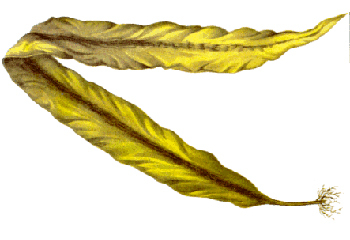 Seaweed is produced for both edible (e.g. sea vegetables) and non-edible (e.g. food additive) uses. 19 million metric tons were cultured worldwide in 2012 valued at $5.65 billion. Red seaweed has the highest production volume and value out of the various seaweed types. Seaweed is widely consumed in Asia and is increasing in popularity in North America. Imports to the US weighed 6,400 metric tons (dry weight) or 60,000 metric tons (wet weight). Unlike other seafood species that are animals and require feed, seaweeds are plants which means that their source of energy is derived from sunlight and carbon dioxide. Seaweed therefore has very little impact on the environment. Seaweed are typically farmed in an indoor hatchery before seeding onto grow-out rafts, nets, or ropes which are then transferred to the open water for growth to maturity. A small amount of seaweed is grown in inland tanks. Little public data is available on seaweed farming. However, academic publications and direct correspondence with the industry provide thorough information on seaweed farming. Seaweed farming is not well-regulated. Despite gaps in data availability and management, the environmental impact of seaweed farming is extremely low. Since seaweed is a plant, there are very few concerns regarding source of their feed, disease, predator interactions, and source of broodstock. Moderate concerns exist regarding the potential spread of non-native species since seaweed is grown in the open ocean. Non-native seaweed could naturally disperse and colonize the area, although effective management prohibits the farming of seaweed species that are non-native to the area. Since seaweed is a plant, there are very few concerns regarding effluents and chemical use. Seaweed aquaculture is thought to improve the ecosystem by removing excess nutrients from the water caused by fertilizer run-off. Moderate concerns exist regarding the potential cumulative impacts of numerous seaweed farms on the habitat. A large-scale seaweed farming operation could potentially compete with wild seagrasses or marine algae for space and resources. Both giant kelp and bull kelp form expansive kelp forests along the coast of British Columbia, which are among the most productive ecosystems in the world. Harvesting of kelp in BC has been attempted since the mid-20th century and despite repeated industrial attempts, all harvesting is small-scale. In 2017, 32 annual licenses are issued by provincial government’s Ministry of Forestry, Lands and Natural Resource Operations (MFLNRO) for kelp harvesting, equally 900 t of potential harvest. Most of the harvest is Macrocystis that is used for the herring spawn-on-kelp fishery.